Family law cases are billed hourly, elder law clients are charged a flat fee (with some exceptions). Generally most of my meetings are held in my office, weekdays between the hours of 9am-5pm. 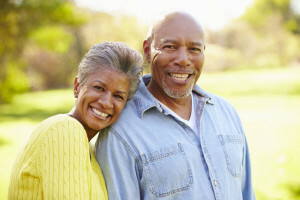 I am willing to travel for my Elder Law clients and may charge a fee for this service. What is your consultation process for family law cases? I offer a 75-minute consultation for $250.00. At this meeting I discuss your case in detail and provide my opinion on your case and advice for moving forward. You will be asked to complete “homework” prior to the meeting. This homework helps me evaluate your case in advance, so that I can offer you the most value in this meeting. I also offer a 30-minute consultation where I learn about your situation, discuss your options, answer general questions about the law and discuss my fee to represent you. I do not provide my opinion or legal advice at this meeting as it is intended to be informational only. This consultation is free. Why should I hire an attorney if I can represent myself? Represent yourself at your own risk. I cannot count how many times people have come to me after starting off representing themselves. It is usually not a pretty picture. Property settlements and issues related to children and child support can be extremely complicated. These issues can have legal ramifications that follow you into the future. It is important to hire legal counsel to advise you regarding these issues. Navigating the Court systems alone can be complicated, frustrating, and time consuming. Our firm will simplify the process by taking the lead through all facets of your case. I am on Medicare, why do I need to worry about Medicaid for my long term care? Unfortunately, this is a common misconception. Medicare will pay up to 100 days of skilled care under certain circumstances, but will only pay in full for 20 days. You will be responsible for a co-pay for days 21-100 in most all situations. Medicare is not a long term solution for your nursing home care needs. 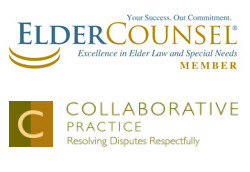 I am not an “elder”, why do I need elder law? Elder law can be useful for a very large population of people, believe it or not! 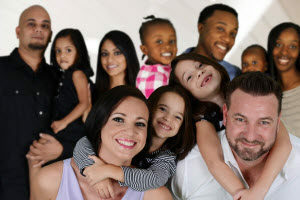 Young people may need elder law to plan for special needs children or to plan for their future. When I am applying for Medicaid, how far will they look back at my assets? In Ohio, you will be required to provide 5 years of documentation of assets from the date of your Medicaid application. Is there any way to save some of my money even though I have to go onto Medicaid for nursing home care? Yes. There is a possibility we can help preserve some of your assets, especially if you retain counsel early on in the process. Are there Medicaid based programs that will allow me to stay in my home? Yes, in certain circumstances you may qualify for the PASSPORT program that provides an alternative to nursing home care. There will still be strict requirements for asset and income eligibility though. I generally charge flat fees for most elder law work that I do. These fees will be required at the initiation of services. The amount of the fee depends largely on the type of case you have. I will provide a price sheet at our meeting. I offer a free 30 minute phone or in-person consultation to discuss with you the scope of your case and the fees for the services you require. If the meeting is in the office or by phone, this meeting is free. If travel is required, a fee will apply. Any additional meetings will either be at my hourly rate or covered in the scope our flat fee arrangement. The first step will be calling the firm to speak with Jodi and she will set an appointment with either myself or my Elder Law Practice Manager.